Nichol’s out-of-this world skills, experience and design sensibility make her an excellent designer. She has 15 years of experience including five years with our firm and a Bachelor’s of Science in Interior Design degree from Philadelphia University (NCIDQ, LEED AP). Nichol is a great team leader and team player, is proficient in codes, Auto Cad, and Revit and specializes in details and construction documents for all projects. She previously worked for Workplace Inc. 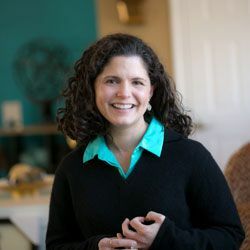 Most recently, Nichol has been lead designer on Turkey Hill Dairy’s Headquarters (Pequea, PA), Pike’s Creek Medical Center (Wilmington, DE), Hot Z Pizza (Landisville, PA) and Penn National Insurance Company (Harrisburg, PA). Get to know Nichol a little bit and you will learn that she loves to paint!